The intent of the Maize School District is to educate each and every child to the fullest of his or her potential. This goal can be achieved only in the context of the new realities of our society and the world at large. 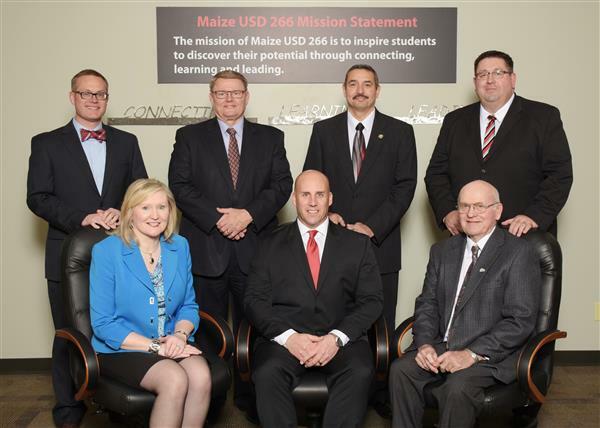 In our times of social, economic, technological, and geopolitical turbulence, the Maize Board of Education's responsibility is greater than ever. But we are determined to meet this daunting obligation and fulfill the mission of public education. Board of Education members' common goal: Prepare students to go out and accomplish their dreams for the future.